Winter in the Northern Hemisphere is upon us and that means shorter and colder days ahead. With varying conditions around the nation we put together a list of the top winter spots to paddle. San Diego, California – Where the Sun Shines Year Round! Looking for the warmest city in California during the winter? Look no further than San Diego where bathing suits are worn year around and it can be considered a paddle board mecca. 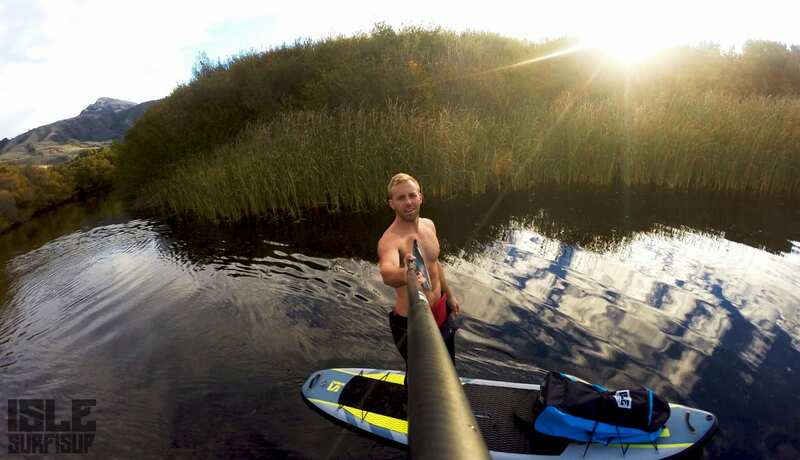 The water temp can be tolerable without a wetsuit and the sun rarely gets covered up. It’s also home to Isle Surf & SUP headquarters so stop in and pay us a visit in our San Diego Retail Paddle Shop! 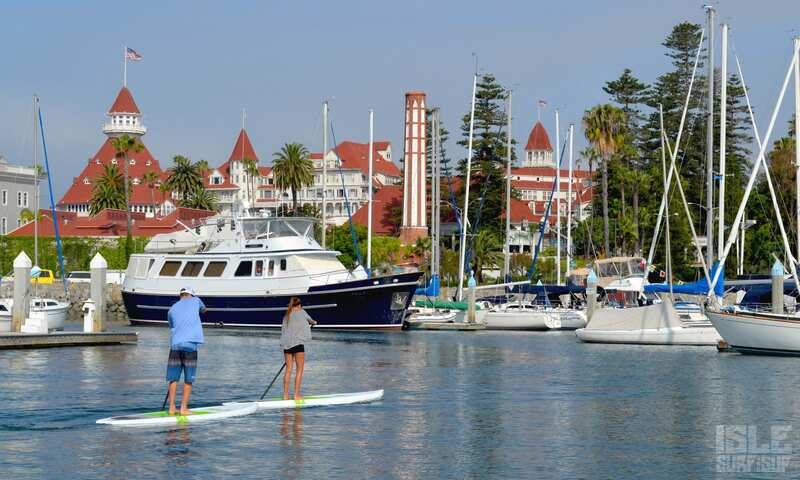 Most notable spots are Mission Bay which offers calm waters and plenty of space for all paddlers, Coronado Island is also a great place to paddle by the bay and through the harbor. If you’re looking to head out to the surf, La Jolla Shores is a great place to launch and opens the way to navigate along the coast to check out the La Jolla reefs. Make sure to go and explore the La Jolla caves that will always have a couple harbor seals present. 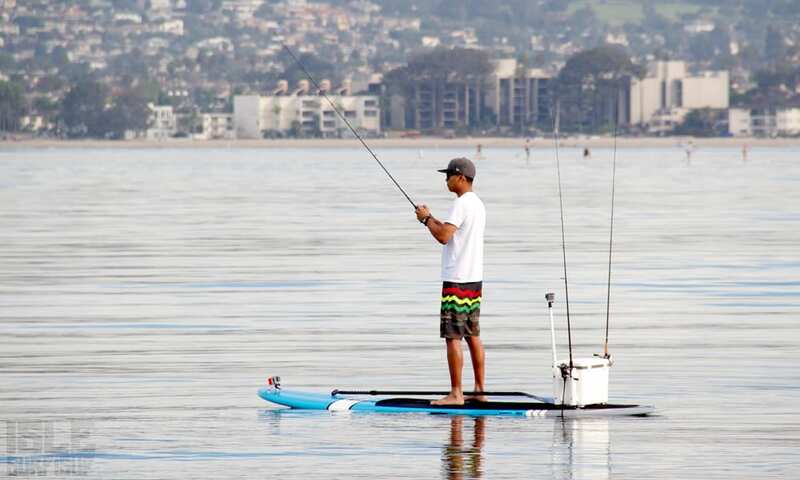 The entire coastline of San Diego is fascinating and will have paddle options for all levels. Located right next to the bay, the Mission Bay Sports Center is the perfect place to rent paddle boards for all ages and experience levels. Monterey is a highly tourist area, for the reason of great shopping, renowned golfing and the beautiful scenery. 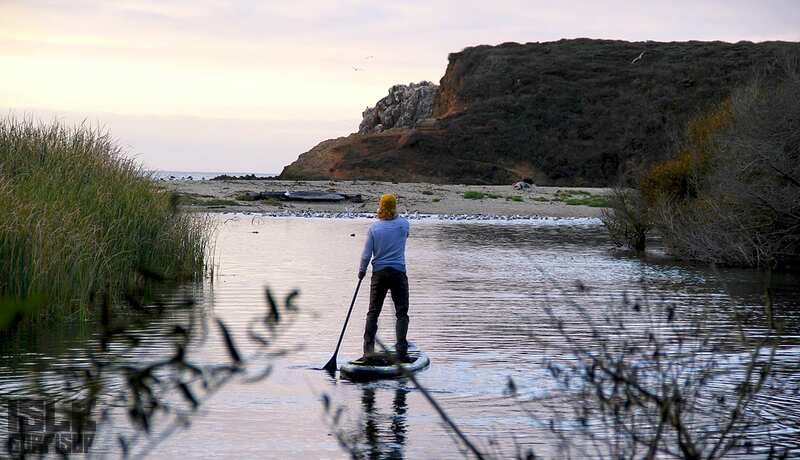 One can experience all the beautiful scenery in ways most can’t by paddle boarding in Carmel Bay, Monterey wharf or along the Big Sur Coast. Be mindful to bring a wetsuit as the waters will be in the low 50’s and weather can be overcast. These are some of the most hidden secrets amongst the central coast and can be a weekend getaway or week-long vacation. Specifically Carmel Bay is an ideal paddle setting with easy spots to launch and a sand bottom makes it unchallenging for beginners to experts. You can start from Carmel point and paddle north along the coast then check out world renowned Pebble Beach Golf course from a unique perspective people rarely get. The Wharf in Monterey is another ideal spot where you will come face to face with every type of marine life then finish the day with a cup of hot clam chowder by the water. Lastly, Big Sur is a magical place where photographers like Ansel Adams have captured the falling coastline, massive sea atolls and breathtaking views. Although it is difficult to launch, I recommend going to Point Lobos State Park to start your paddle by the divers’ entry. If you’re in Carmel-by-the-sea then experience Carmel in the sea with Monterey Surf Lessons. They offer surfing and paddle lessons for all ages as well as SUP and surfboard rentals. Another destination to escape the chill and warm yourself up is Arizona. This state is recognized for its warmer climate and massive lakes. While Lake Havasu is the largest and most known for its party nature there are a lot other lakes that are desolate with amazing views. 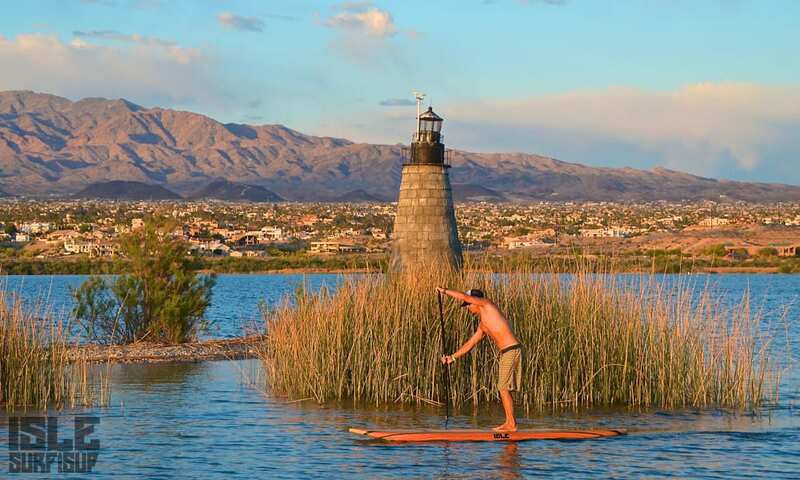 A couple to mention are Lake Saguaro which is a downstream lake making it undemanding for beginners and Canyon Lake that offers 28 miles of cactus covered shoreline. You’re sure to see some Big Horn sheep and a bunch of other wildlife in both lakes. Another acclaimed spot for paddling with a unique perspective is going underneath the infamous 1,100 foot tall Hoover Dam. To start you would launch at Kingman Wash then a short paddle will take you to the Hoover Dam and some incredible scenic views. Most all lakes require a $6 Tonto Pass for access to all parks and waterways in the Tonto National Forest, you can purchase online, or gas stations and retailers near Tonto National Park. Those who are looking for warmer weather should make their way to Florida to explore the laid back attitude of Key West. The mangrove forest is a great spot to watch stingrays flying across a sand flat and potentially a manatee swimming through a nearby channel. 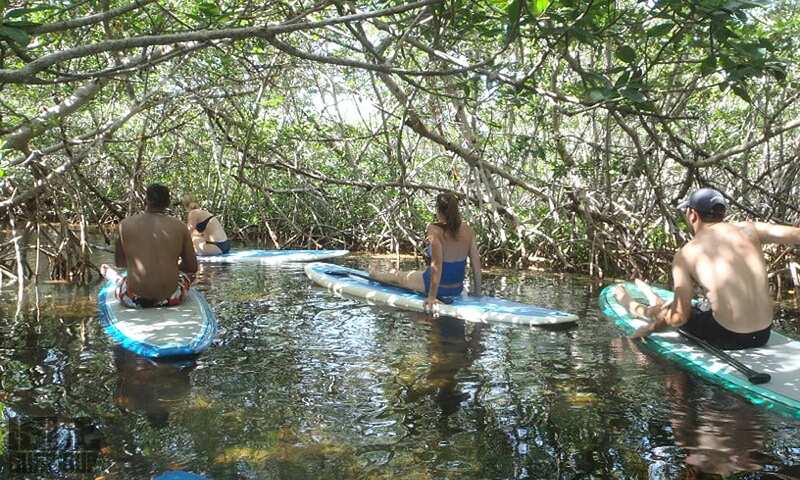 Most of the area is a protected ecosystem for which they have guided tours to educate you while paddle boarding. As for what type of wildlife we would interact with, it’s just like a walk in the woods it varies day to day. As a suggestion, if you plan on traveling to Florida make sure and pack some bug spray as mosquitos are the native habitants in the mangrove forest. Most known for their coffee, Seattle offers amazing point of views from the surrounding lakes and rivers. I got in contact with Rob Casey who is the owner of Salmon Bay Paddle which offers guided tours of Seattle as well as the opportunity to surf some waves produced by freightliners. I asked Rob what the conditions were like during the winter to which he responded, “There’s no limit to where you want to paddle in the NW in winter. Winter means less boaters to contend with, more solitude, and surprisingly glassy days in between storms.” Though the water is chilly, Rob’s company provides full wetsuits, booties, hood, gloves and life vest to keep you warm with all the different paddle boarding possibilities to choose from. If you’re looking for a nice flat water paddle one must start at the Ballard Elks Club beach and head to the West Point Lighthouse which is located in Discovery Park. Discovery Park is a mostly wooded park which makes you feel like you’re far from Seattle and the point has great views of the Olympic Mountains, Mt Rainier, Mt Baker, downtown Seattle and several nearby islands. Three minute waves and hour long sets is what to expect when Rob takes you surfing off ship wakes that create surprisingly good waves sometimes head high, but mostly knee to chest. To monitor the surf Rob checks marinetraffic.com to track shipping routes for the best results for waves. If you are looking for an unbelievable paddling experience then you must call Rob Casey and Salmon Bay Paddle. 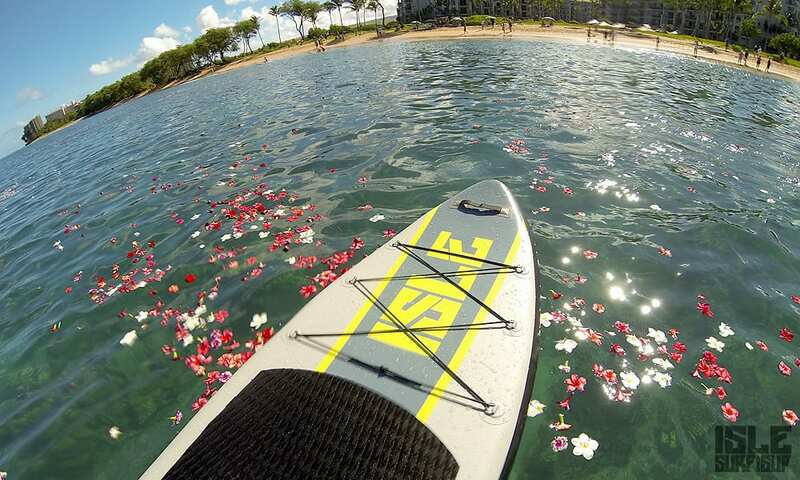 The Hawaiian Islands are the ultimate SUP destination with paddle board heritage. All the islands provide hot weather and warmer waters along with lush vegetation and tropical fish beneath your feet. The big Island is the oldest, largest and only island with a live volcano to paddle. Kona is the calmest of both sides of the island but if you’re looking to surf then the North shore, Hanalei is your best spot. 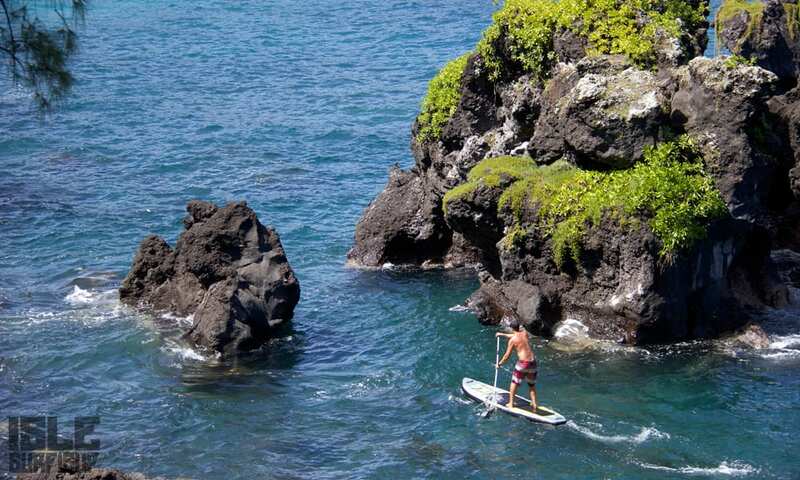 I asked Kyle from Ocean Safaris which side of the Big Island is ideal for paddle boarding and she replied, “Kona means Leeward in Hawaiian, so on the west side of the Island we are blocked by our tall mountains from the trade winds. We do get swells from the North but nothing like the other Islands.” Kona is pretty calm for the most part and is a recreational waterman’s paradise for beginners to novice. My favorite island and most notable would be the garden island Kauai. This luscious island has produced more rainfall that any other place in the world and has miles of river and open ocean to explore and go paddling. My first recommendation is to rent a board by Hanalei Bay then start your paddle in the Hanalei river which has miles of flat water that will open up to Hanalei Bay, a 2 mile stretch of beach with great small waves for all levels. The founder of paddle boarding lives and spends the majority of his time on Kauai so make sure to thank him if you paddle by. Oahu is the busiest island with the largest population, capital city and home to the military command center of the Pacific. Most well-known for one of the heaviest waves in the world, Pipeline is not a paddler’s scene so leave your SUP on the beach. The most notable spot with calm water and small waves is Ali’l Beach. This is a family oriented beach that features calm waters and is a protected bay perfect for paddle board beginners. If you are looking for waves, you can find them in down town Waikiki with a mix of gentle waves to point breaks that are head high. There are a plethora of guided tours and rentals along the beach so you’ll be sure to find one that fits your experience and price point. Maui is noted to be the best island to watch the Humpback whales migrate and the winter is the perfect time to watch the migration, thus Maui would be the ideal island for a paddle destination. After speaking to Kathi from Hawaiian Paddle Sports she recommends, “Visit Maui during the winter months the Humpback Whales visit Maui to breed and give birth.” The whale season is from December 15th through April 15th and you’re sure to see a variety of species of fish, turtles, dolphins and the rare Hawaiian Monk Seal. If you’re are interested in paddle surfing Kathi recommends to head to the North side of the island where she says, “During the winter, the storms come from the north therefore the larger surf mostly impact the north and west facing shores.” For more information on paddling Maui visit our travel blog to read our last trip we took there. 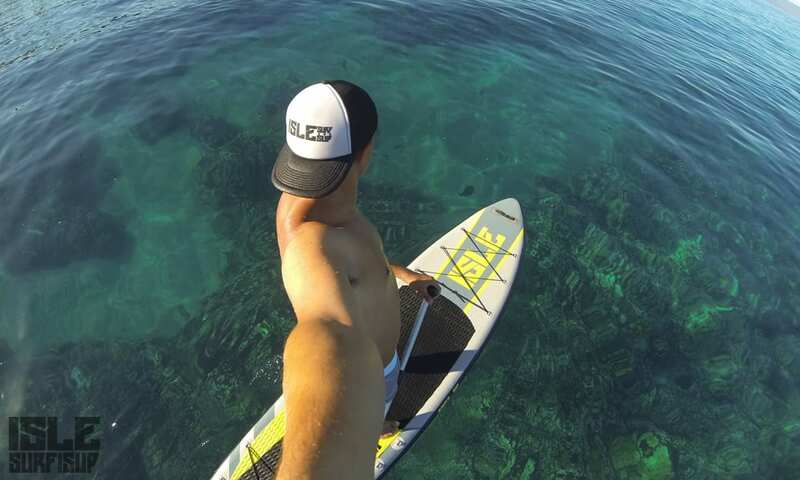 Marc Miller - Co-Founder of Isle Surf & SUP. I started Isle back in 2004 to share my love of paddling and surfing in the ocean with others one board at a time. I love to surf, paddle , travel and write about it. When im not in the office I can be found on foreign shores searching for waves and fun.